The second Republican presidential debate was certainly not short on bizarre moments. (Would we expect anything less when Donald Trump is given a microphone and podium?) Between snarky snubs, inexplicable facial expressions, and throwing shade — so much shade! 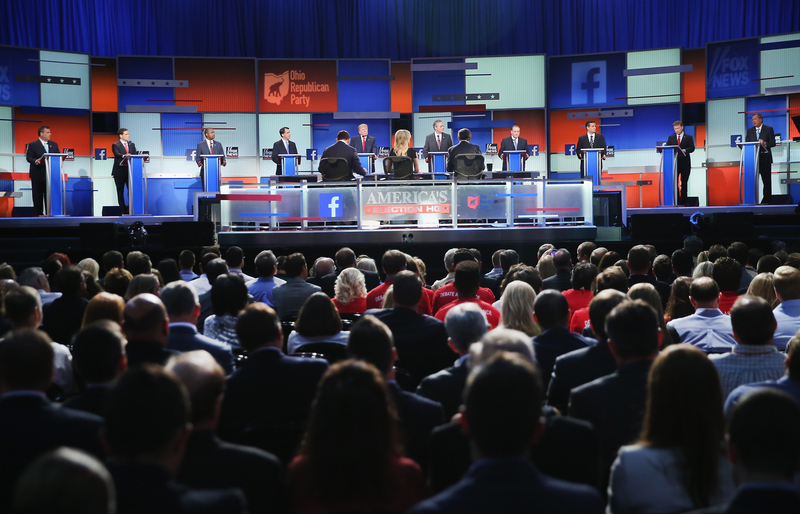 — Wednesday night's GOP debate on CNN was a veritable smorgasbord of potential GIFs and Tweets. However, there was one statement that stood out far above the rest of the word jumble. The strangest quote of the second GOP debate came from Marco Rubio, who made everyone in the audience — and in America — do a collective double-take. We'll perhaps never know what Rubio was thinking (or smoking) when he said that "America is not a planet." But what I do know is that we're all better people for it. Even if you don't agree with the content of the message, just the sheer strangeness of those words has really moved something inside of America. (Or at least, it's moved our fingers to tweet.) Amid the verbal acrobatics performed by the other candidates, who tried to sound as eloquent as possible while reciting rehearsed answers on foreign policy, fiscal responsibility, and religious liberty, Rubio pole-launched over their heads with that single, perfect quote. It was such a precious gem of a line that it will be encased in our minds forever, protected from the ravages of time or liberal ideology. Or at least until the next debate. Congrats, Rubio. You've mastered kindergarden science.